If you are a smart business owner or marketing expert you have probably considered getting into chatbots and using Messenger Marketing to explode the growth of your campaigns. Sitting here writing “explode the growth” of your campaigns – makes me stop and think. That’s literally one of the endless benefits Messenger can give your campaigns and your business. But let’s focus on the method of execution here: I get clients asking me for Whatsapp, Telegram and to do SMS campaigns. SMS. For real? 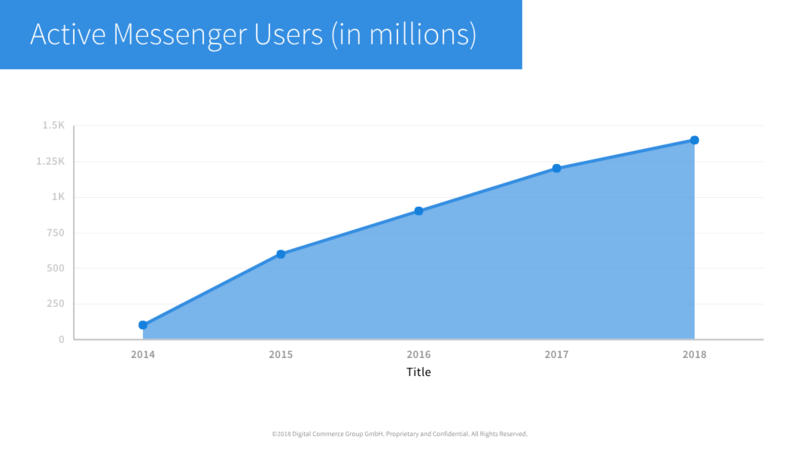 Let me quickly break down for you why Facebook Messenger is the one-stop-shop for your messaging campaigns in 2018. No questions asked. 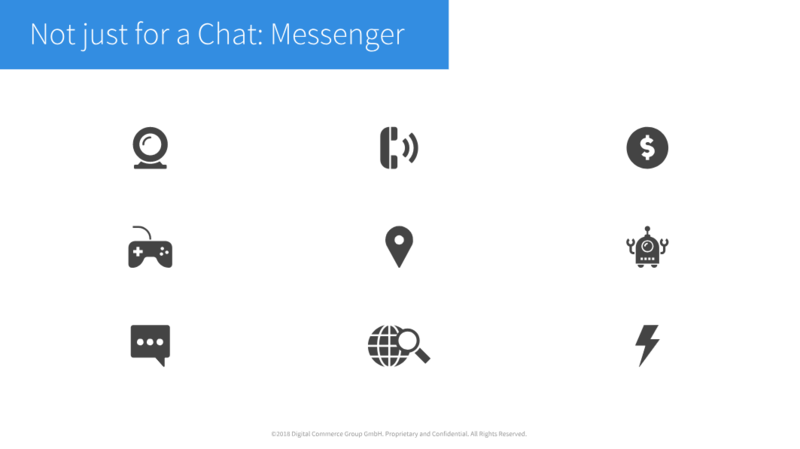 Messenger is currently one of the most used messaging apps with 1. 4 Billion active users. Let’s picture that: 1’400’000’000 active monthly users. That’s short 100 million WhatsApp users which of course, belongs to Facebook as well. Facebook’s head of Messenger Stefanos Loukakos just announced that milestone at ManyChat’s Conversation’s Conference in September 2018. Let’s be real here. Nearly half the people that regularly use the internet are on messenger. With WhatsApp’s new Business API we’ll be probably be seeing similar features on the no.1 of all messaging apps as well. It’s really not much of a choice you have here. Messenger is not just for Chat! And so much more! Messenger replaces almost every other communication app in some peoples phones. Contrarily to what many might think, Messenger does not even require its users to be connected to Facebook. Simply sign up with your phone number. Thats it. 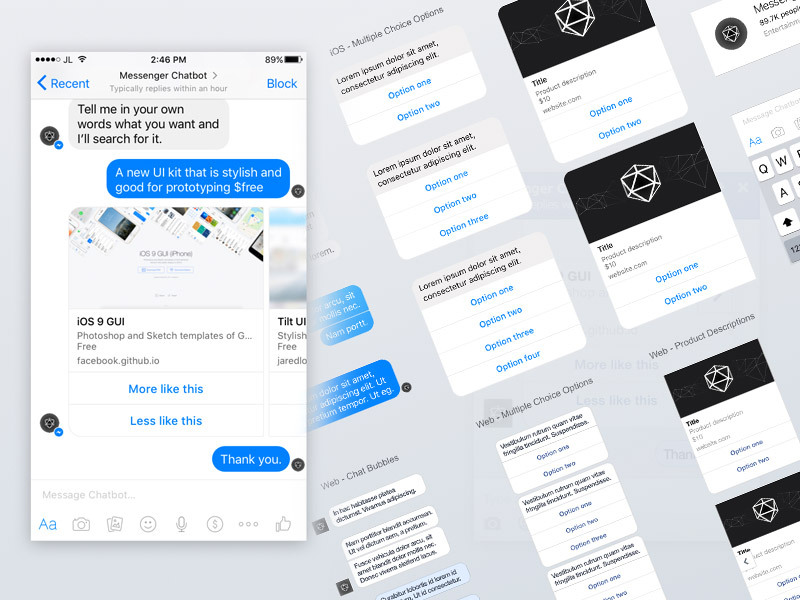 Again, Facebook wasn’t sleeping when it comes to implementing tech the user was looking for: Gifs, Stickers, and a number of UI elements to create a stunning user-experience for your audience. Cards, Carousel and quick-response buttons are just a few of the goodies you can use with Messenger. 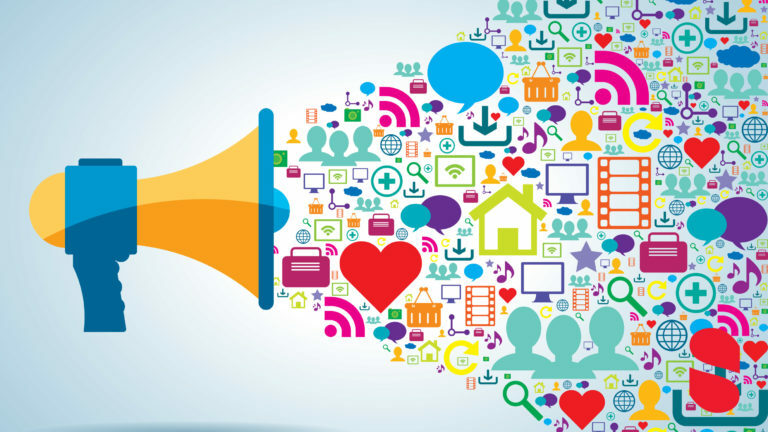 Give your audience an amazing and simple experience of your content, products and services. 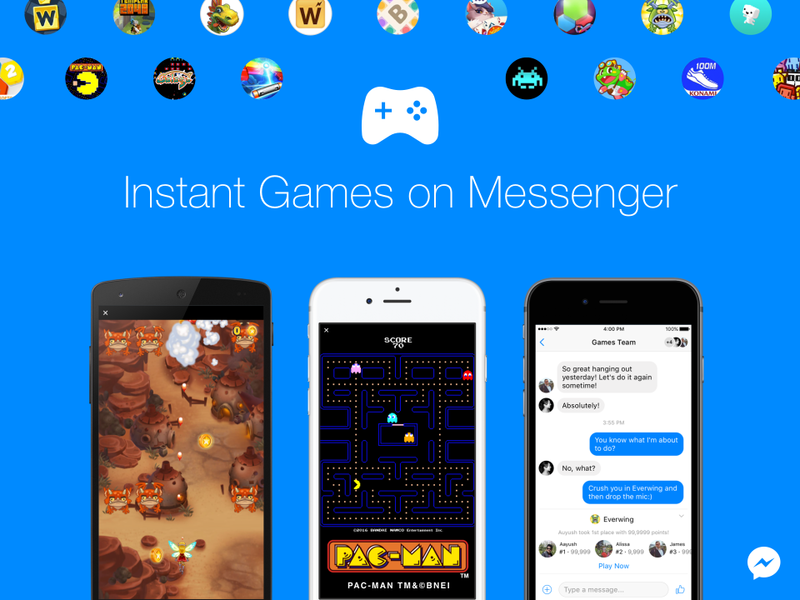 The times where Messenger was just for chats is definitely long gone when it comes to playing games. This doesn’t just open doors for game developers on the platform. It also let’s you, as a business, easily “gamificate” your competitions, raffles and the way you engage with your audience. In Facebook Messenger you can now share an offer, and reward your audience for sharing the offer with their friends. Every tried looking for your SMS bot? Your Whatsapp bot? Not much chance you will find it anywhere – at least not in a place like on the discovery tab, cemented right into facebook messenger app. Similar to Instagram Messenger will show you trending and popular bot’s you can message! Be great and let people find you in a breeze. Many people are already on Facebook. People message them, and eventually, it just makes sense to hop on to Messenger – really a no-brainer. Secondly, we have established in No. 1 “everyone is on Messenger” that you will, if you know more than two people – know someone who is on messenger. This makes it easier for you to use Messenger as well. Unlike with email addresses or any other date you give marketers and companies you have to actively opt-in to messaging with this bot. That’s Facebook’s policy. 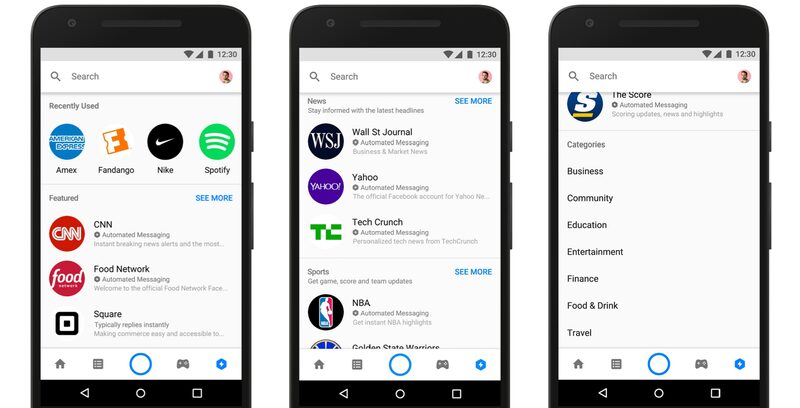 And Facebook makes this very clear to you – within their rules for ads, and other JSON plugins you can use to get people to subscribe to your messenger bot. Without sending you to some privately owned website letting you “adjust” your email preferences in order for you to opt out of a newsletter or similar broadcast – Facebook has the words “stop” “unsubscribe” or just delete the conversation. The business or bot will not be able to message you anymore. Unlike other messaging apps or in fact emails etc. Messenger has built-in commerce. You heard right, with Stripe Paypal and other services offering a direct API integration you can now make purchases directly in messenger. Just imagine the magnitude of customer convenience: You are provided with valuable product insights and information tailored to help you make a decision. Then you purchase the ideal product within messenger, receiving order and shipping updates up to the moment you receive your product. Just like Paypal and Stripe can be used for payment checkouts the possibilities of 3rd party API integrations with Messenger are endless. You can use mobile wallet technology to give customers an electronic pass for offers, tickets, or anything you wish to digitally combine with your POS system. Google API’s let you automatically sync reviews and Facebook lets you update and re-target custom audiences. First off – what is “micro retargeting”? Well, we all know what happens when we go search for some plane tickets on Ebookers or similar. You will probably be followed around the web with some sort of vacation and plane-ticket banners. That’s retargeting in its simplest form. However, when you are messaging your subscribers on messenger, you know exactly where in the process they got stuck – or where they lost interest. This lets you gain very accurate insights in your funnel and what content, messages and offers pose an objection or make your prospecting customer lose interest. With this insight, you can now target this lead with a highly tailored ad, specifically designed to pick up the conversation where it stopped. This one should be a no-brainer. Facebook has so much data about your prospect and its interests. It’s all there, neatly organised for you so you can unleash the dragons of lookalike audiences and so much more! 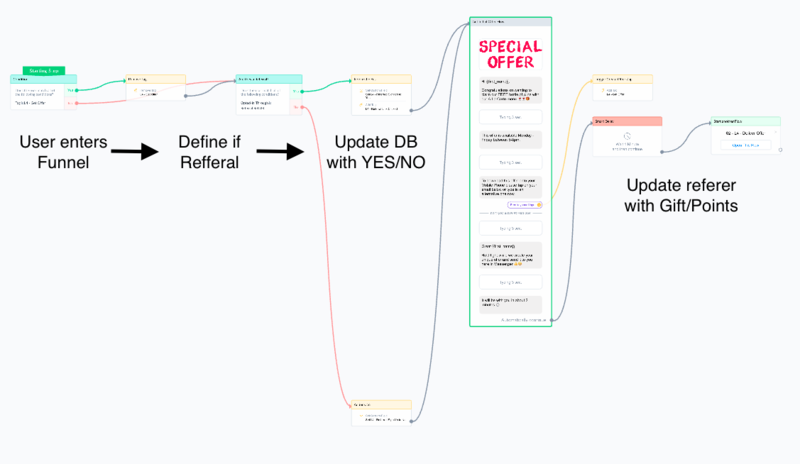 Using this data-goliath to go after your audience is only possible with Messenger to-date. Other messaging campaigns can be expensive. For example, an SMS campaign can be quite costly. And let’s be real did you really acquire all those phone-numbers in a GDPR compliant way? Probably not. So why not just stick with Messenger for now. you article provides an excellent summary why fb messenger is clearly the leading platform for chatbots. Keep on the good work!